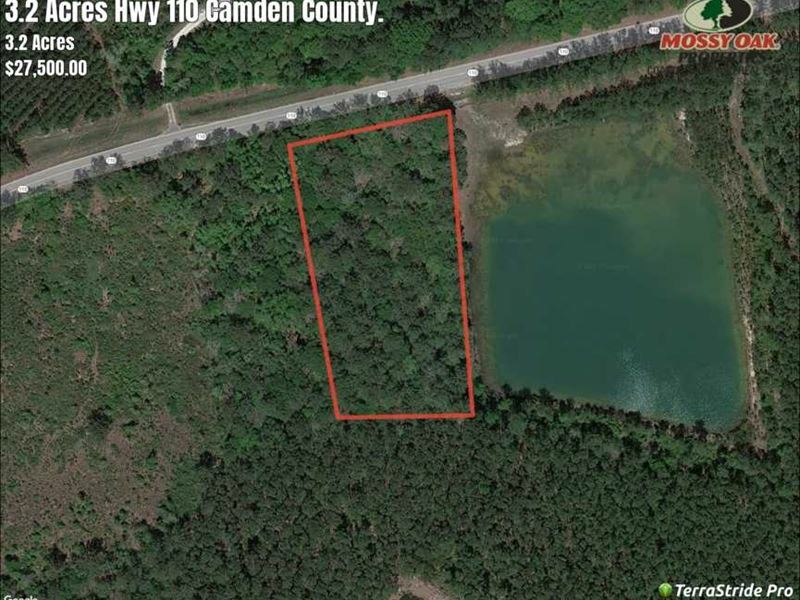 3 acre property with Natural Timber located on Hwy 110 in between Folkston, GA 31537 and Woodbine, GA 31569 in Camden County, GA. This mixed use residential, recreational, timberland backs up to over 1300 Acres of County Owned Property and has abundant whitetail deer & turkey. The property is adjacent to a Pond on County Property. Paved road frontage on Hwy 110. Great location for a weekend getaway or possible homesite. Contact with Mossy Oak Properties for more information on this Property or others like it at.